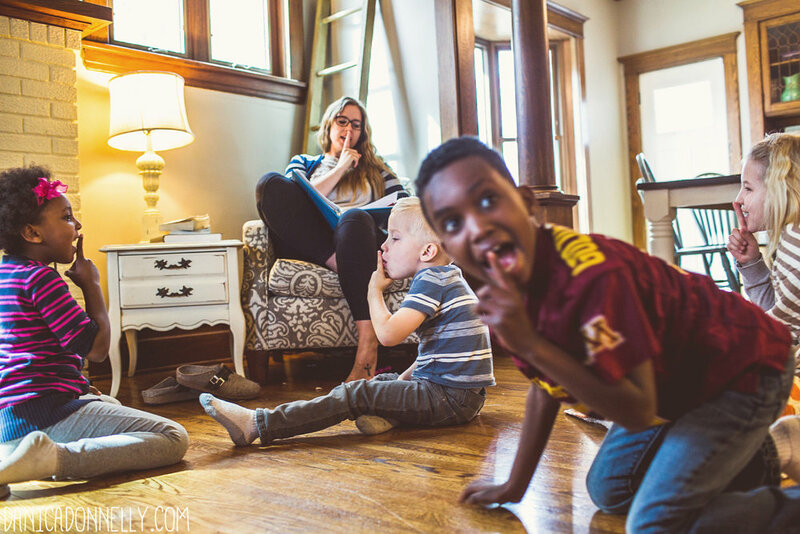 I find it fascinating, and an honor, to be invited into families' homes to photograph a glimpse of what life looks like to them. To document their stories that are so personal and unique. This mom of 5 children homeschools them all. It was my first peek into the day to day activities of homeschoolers and it was really cool. She has a set of twins who are obviously the same age, and two adopted children who are close in age, so that makes it easy for her to pair them up for partnered learning. 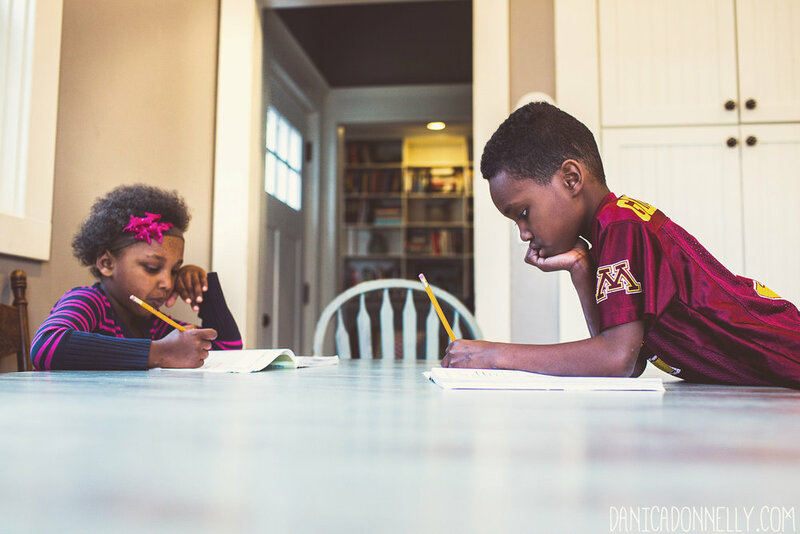 The kids help each other with tasks/games/projects while mom goes around to check on how the projects are going and assists or explains when necessary. It seemed like they struck a great balance of structure and exploratory learning.